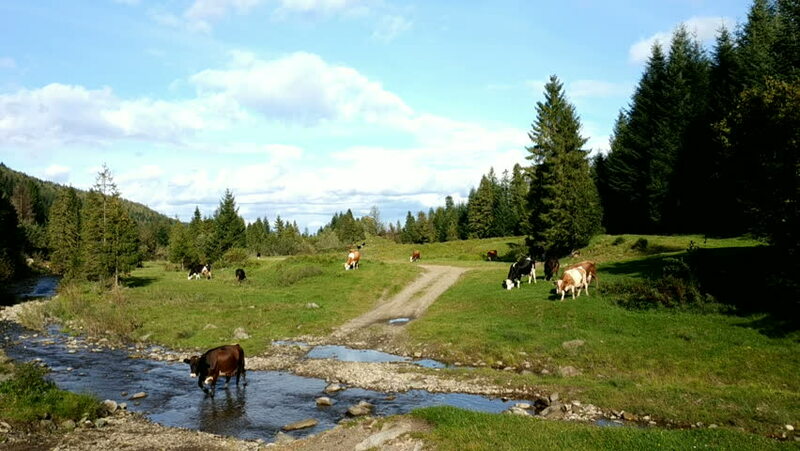 Cows grazing and crossing wild mountain river. Coniferous forest. Blue sky. 4k00:22Scenic Oregon Wilderness, Lake, Forest, Flowing Water, Early Evening, Springtime. 4k00:15Tera River passing through Puebla de Sanabria, Zamora, Castile and Leon, Spain. Filmed in August 2017.